The Greater New Milford area consists of the towns of New Milford, Washington, Bridgewater, Kent, Roxbury, Sherman and Warren Connecticut. A great place to start for area information is the Greater New Milford Chamber of Commerce Website. With the relatively close proximity to New York City by car or train, this area is a favorite for the second home luxury market as well as full time residents who call this wonderful part of Connecticut home year round. Goshen, Connecticut, from American Bison to Zebu and everything in between! Even elephant and camel rides, right here in Connecticut! ... Who says country life is boring? Located in southern Litchfield County, New Milford is sometimes referred to as the gateway to Litchfield Hills. We are 90 minutes from New York City, an hour from Hartford and three hours from Boston. If you are looking for a train into the city, Metro North Railroad runs trains on either the Hudson Line or the New Haven Line, both convenient drives from New Milford. 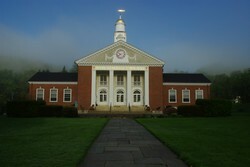 New Milford is the largest town area wise in the state of Connecticut at 64.8 square miles. For a wonderful history of New Milford and the surrounding towns, visit the Greater New Milford Chamber of Commerce Website. Bordered by Sherman, Kent, Warren, Washington, Roxbury, Bridgewater and Brookfield, New Milford offers hiking, boating on Candlewood Lake and Lake Lillinonah, fishing, easy access to golfing at world class golf courses, Bulls Bridge Golf Club in South Kent, The Club at River Oaks in Sherman as well as Candlewood Valley Country Club, a public golf course located on Route 7 in New Milford. There is canoeing or rafting on the Housatonic, minutes to the Appalachian Trail in South Kent at Bulls Bridge, many fine town and state parks. There is so much to do. We have fine restaurants, art galleries, and perhaps one of the most scenic greens in New England! Drop by and check it out for yourself. Try a driving tour through New Milford, mapped out for you by the Chamber of Commerce. As you can see, there is something for everyone in New Milford and the surrounding communities. Drop me a line, or come and see for yourself. Please enjoy a slide show of downtown New Milford. Including Washington, Washington Depot and New Preston. Fabulous homes set in rural Connecticut, just 1.5 hours from NYC. Enjoy the many walking trails, land preserves and Lake Waramaug. Washington has become a favorite for the luxury second home market, there are many magnificent estate homes and grand antiques nestled in the countryside. 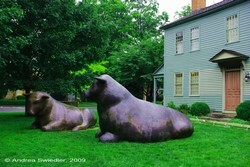 The Washington Art Association is a popular artists venue, hosting art shows and giving art classes. And of course, The Mayflower Inn and Spa, a world class retreat and restaurant. Washington is also home to two famous modern dance companies, Momix and Pilobolus. 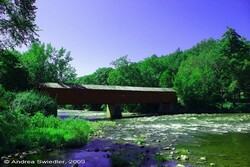 Bridgewater is approximately 16 square miles of beautiful Connecticut countryside. The population from the 2007 census was 1,824. The countryside is dotted with farms and country estates. It is a favorite choice for that perfect weekend home with its close proximity to New York City, easy access from 1-84, yet a whole world away. The Bridgewater Village Store serves up some of the most mouth watering sandwiches and desserts I have had anywhere. 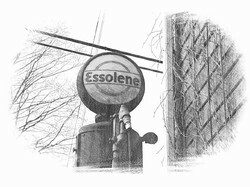 It is a favorite spot for people to meet, have coffee, discuss the latest news, etc. Such a great atmosphere with food to eat in or take out. Lake Lillinonah is a beautiful spot in Bridgewater with homes scattered along the lakes edge, hiking trails, and great boating, rowing and fishing opportunities. Another great draw to Bridgewater is the annual Bridgewater Country Fair, folks come from all over to enjoy a real old fashioned country fair. Cows, chickens, jams and jellies, tractor pulls, wonderful arts and crafts for sale, some of the best food you will ever have at a fair, plus the parade featuring area volunteer fireman, marching bands and more. Make sure you check out the fair schedule and I do hope to see you there! Located in the Shepaug River Valley in lower Litchfield County, Roxbury is a wonderfully picturesque town. Covering 27 square miles of rolling Connecticut countryside, Roxbury is home to approximately 2,340 residents. The Roxbury Land Trust works hard to preserve the character of the land for future generations. Currently 17% of land in Roxbury is conserved as open space. This makes for some scenic hiking trails, the mines, fishing along the Shepaug, great outdoor activities! A fact of interest about Roxbury: Did you know that Roxbury granite, which was found in the Mine Hill quarries, was used to build both the Brooklyn Bridge and Grand Central Station? It was shipped to New York City down the Shepaug River! The beautiful town of Kent Connecticut has deep roots in farming and iron ore mining, and now it is steeped in the arts of many kinds. 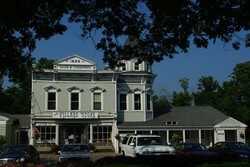 The Litchfield Jazz Festival,the Kent Film Festival, the many restaurants, art galleries and unique boutiques make it the place to be. The town of Kent encompasses 49.6 square miles, and in 2006 showed a population of 2,962. Some local places of interest include the Appalachian Trail, St. John's Ledges, Kent Falls State Park, Macedonia Brook State Park, Wyantenock State Forest and Bulls Bridge Covered Bridge to name a few. Kent is also home to the world class Bulls Bridge Golf Club. Approximately one and a half hours drive from New York City and twenty minutes to the the train station makes Kent a favorite for the second home market. Certainly there are quite a few Kent locals who make this their year round home. Ask them what they think and they will tell you that living in Kent is just about as good as it gets! For more information about Kent and all that is happening there check out Kent Chamber of Commerce. 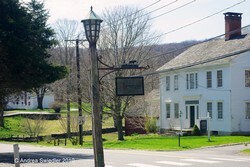 Warren is considered to be the most rural town within the greater New Milford area. consisting of 27.6 square miles of scenic Connecticut countryside, there are about 1,384 residents. 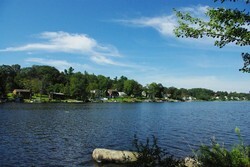 Warren shares Lake Waramaug with Washington, and has its own town beach along the shores. To preserve the rich farmland, open space and natural resources, the Waren Land Trust has 515 acres currently under its protection. Wyantenock State Forest and Above All State Park are located in Warren as well. For a quiet lifestyle and wonderful hiking and fishing oppertunities Warren is the place to be. Located just 90 minutes from New York City, Warren has been a popular spot for those seeking a second home in the Connecticut Countryside. 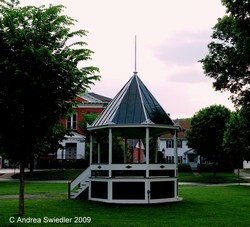 Sherman is the northern most town in Fairfield County, consisting of 23.4 square miles of beautiful Connecticut countryside. A favorite for commuters, Sherman intersects Routes 39, 37 and 55, which makes it very accessible. The current population of Sherman is at 4110 residents according to the towns website. The Sherman Historical Society has great information on the history and devopment of the town, take a look! Did you know? Sherman has been named "Best small town in Connecticut" three different times by Connecticut Magazine! Candlewood Lake stretches into Sherman, making for lovely homes on the lake, and all the activities that go with lake living. 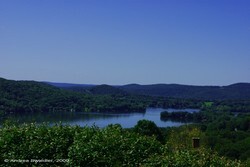 Part of Squantz Pond State Park is in Sherman, enjoy the water, take a hike, go fishing, it is a beautiful state park. The Appalachian Trail meanders through the northern most end of Sherman before passing into Kent. Land conservation is key, with Naromi Land Trust owning 850 acres and managing 200 acres of farmland in Sherman. Naromi Land Trust gets its name from Naromiyocknowhusunkatankshunk Brook (means "water flowing from the hills") which is in Sherman. Another popular attraction is the Sherman Playhouse. The Sherman Players put on some wonderful productions there, well worth a visit.